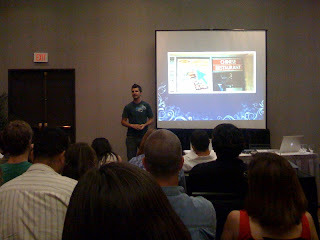 Tonight, I drove all the way down the the LAX Sheraton Hotel to attend David Jay's Free to Succeed seminar. He had many insightful ideas about pricing packages, post processing, and branding oneself. Jasmine Star was the guest speaker. She gave an inspiring speech about how she started 2 years ago as a wedding photographer literally with nothing. Yet, that didn't stop her because she photographed 37 weddings the first year because she was "determined". DJ and JS were funny, insightful, informative, and inspiring. They were surprisingly good speakers. Spending $99 and $15 for parking is well worth it. I would definitely recommend every photographer whether amateur or professional wedding photographer to attend the Free to Succeed seminar.